Kenya camping is possible around the country, but as there are not that many campsites, it takes a bit of planning. The ones that are available range from private campsites to park/public campsites. I will start this page with some 'general' information and overview, and than some 'personal experiences' and suggestion! If you would like to jump straight to the 'personal stuff', Click Here! 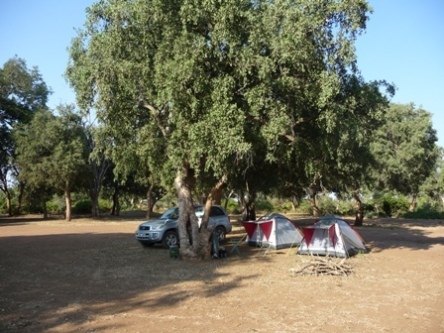 The private campsites tend to be with good facilities – hot shower and flush toilets – wood is provided as well. They are mostly in shaded locations, and also come with a good possibility of a restaurant and a variety of activities. 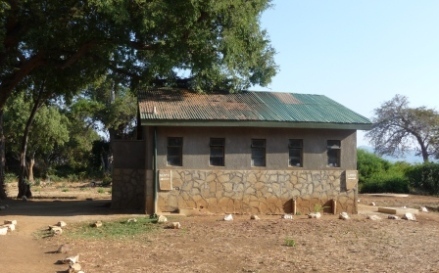 Park campsites have mostly basic facilities – long-drop toilet and showers (cold, most of the time) – to no facilities at all where you have to be fully self-sufficient, bringing everything including water. The park campsites are considerably more expensive than the private campsites, from around US$25 (as of 2010) for camping per person, with the additional cost of park and vehicle fees. For non-residents in Kenya, the private campsites are better value for money. 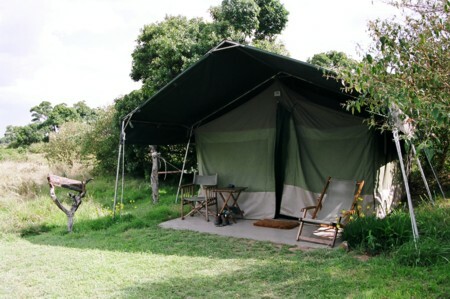 Sometimes tents can be hired in private campsites. If bringing your own tent, make sure it has a sewn-in groundsheet and can zip securely to keep out insects, especially mosquitoes and ants. Some campsites do provide bandas (small huts with a bed, some with basic facilities) where you need to bring all your bedding and equipment. People, who would like to combine camping with mountain climbing, will have a fantastic time looking into doing so in the Mount Kenya region. The are many different options on which route to take, depending on your ability level and how much time you have. The best time to go is just about all year round, except maybe the middle of the rainy season. It’s something I dreamed about doing for quite some time, and I’m not talking about staying in a tented camp site here. I’m talking about having your own tent, bringing your own supply, being flexible and moving at your own pace. A friend and I settled on a date and started to get serious about a route and began the process of planning, which was mainly on finding a good deal for a 4x4 vehicle. Have a look here for the best available quote! It came with some basic camping gear, including tents, pots & pants, plates, cups, chairs & gas cooker. After picking up the car and doing some shopping for some provisions and extra things that might help along the way, mainly food supplies and water, we set off on our way. The first stop was in Tsavo East National Park, as we wanted to go see our adopted baby elephants at the David Sheldrick Wildlife Trust (DSWT), close to Voi. When we got to the Ndololo public campground, which is under the care of Kenya Wildlife Services (KWS) and 'side by side' with the Ndololo Tented camp, we where happily surprised to find ourselves being the only campers there, which suited us just fine. The camp is beautifully located in between big trees and the facilities were just updated and we couldn’t have been more pleased. We set up camp, had a hot cup of coffee & tea and started to cook dinner. We both felt so at peace and got into our camping routine very easily and were....HOME!! 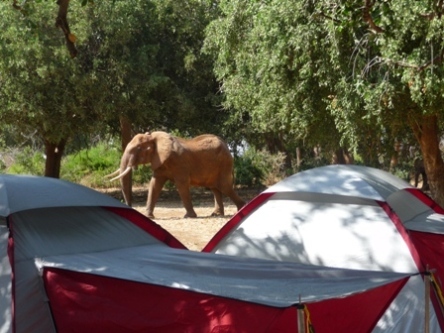 Elephants came to visit at night and during the next 1 ½ days where all around camp. I was in absolute heaven as I’m very passionate about them and felt very connected and so serene. Since there was a big baboon family living close by and they have an unstoppable desire for investigating things, we had somebody from the camp keep watch during the day and everything was fine. We only lost 3 potatoes, but that’s a different story. The park is very easy to navigate and with a map, that can be purchased at the gate, you are more than prepared to explore on your own. If you would like a guide/ranger to come with you to point out and find the animals faster, you can arrange that also at the gate. To camp inside the parks is usually $25 per night, which is reasonable. The fee for your car is at about 300Ksh as of 2010. You do have to calculate in the daily park fees and it is a very good idea to know beforehand on which parks you would like to go to, as they will all have different fees. Most of them do NOT except credit cards, so you have to have the cash with you and most prefer US$. We did both, local currency and US$, but keep in mind they will hit you with the highest exchange rate possible...and NO, they don’t adjust it to the daily rates...it’s pretty much up as long as possible. Note: As of 2017 - Credit cards are now accepted at the Entrances. Please double check on fee's etc. Bring toilet paper! While camping, it has multiple uses and you will find it indispensable! Make sure you have plenty of drinking water with you and for emergency backup some water purification tablets. You will find tap water more easily for washing etc. on most campgrounds, but drinking water is essential to buy whenever you have the opportunity!! If you end up with a flat tire, find the closest petrol station. Most of them will & can fix it for about 400Khs. Oh, and of course, make sure your spare tire is in good shape! Bring car chargers! If it’s for your phone, camera, batteries, laptop etc. etc., you will NEED it! I think that about sums it up for this personal experience on Kenya camping. Now we are off to and On to Amboseli Nation Park!! If you have done already some Kenya camping, please do share with us!